Oh June! You were a full full month! The biggest thing about this month was that school started! I just got one more kid in my class and we are up to 17! For $5 I can lay in this comfy salon bed and someone will wash and massage my head, neck and shoulders for 45 minutes. They then comb, dry and style your hair. I told Dave that after the first week of teaching I was hitting up this place. It did not disappoint. Like always ... if you come visit I'll take you! But you better hurry because we are leaving at the end of October! You guys, Myanmar has a symphony and they are so good! Dave and I read about it and decided that since it was free we’d give it a try. I’m going to let you in on a secret … the minute they started playing I started crying! I forgot what real music sounds like! We hear honking and market sounds and loud Asia music and Buddhists chanting that real music turned me into a big sap! I hope they play again before we move because I’ll for sure go! Pizza Night with the teachers! Some of the teachers said they wanted to learn how to make pizza so we had them over just for that reason! We had a lot of fun and you should know that all the pizzas we made were cooked in my small toaster oven. Ha ha! We went to a big park where many of the tribes from all over Myanmar are represented. They have a house built with that tribal architecture and during busy season there are people there in native dress. It was interesting to see and I bought some super cute headbands from the Karin tribe. while I was there. Karaweik Palace is a cultural dance show on a huge boat out on the lake. It is a dinner and dance show. It was neat to see the different dancing but Dave and I both thought it was a bit overpriced at $35 a person. I’m still glad we went because it was on our Myanmar bucket list and we enjoyed our time there. The picture at the top of this post was taken there. We are hosting small group from our church and are enjoying meeting with fellow believers. Dave had been before but he took me to a gem museum here in Yangon. The museum is 5 floors but only the 5th floor is a museum. The other 4 floors are all jewelry shops. Upon arriving I argued with the person who sells tickets because they charged me over $5. I know that doesn’t sound like a big deal but locals pay pretty much nothing and then I show my white face and the price goes way way way up. Anyways, I paid the $5 and I absolutely loved the museum. They don’t let cameras in there but let me just tell you Myanmar is loaded with gems! They have rubies and jade and pearls and all kinds of things. It was so neat to see where the gems come from and I just love that God is so creative with all the colorful gems and rocks that He has made. Dave and I picked out a ring for my 30th birthday. He let me wear it for 1 day and then said I had to put it back in the box until my birthday so I can fully appreciate it. Zama and Pam had some guests from the US so we hosted them all over for dinner at our house. I always like showing people Yangon from 11 stories up. It’s fun! We flew to Thailand on a Friday afternoon and came back Sunday night all to get a stamp in our passports for our visas. We got to see and visit with our friends from Thailand although it was short it was a blessing to us. Like last month Dave > Beka. Dave is still kicking my rear in reading. I don’t like the book I’m reading so I probably should just either buckle down and push through or get a new one. I have read a TON of kid books to my K4 class so that counts for something, right? Dave has read over 1,000 pages this month! He is awesome. 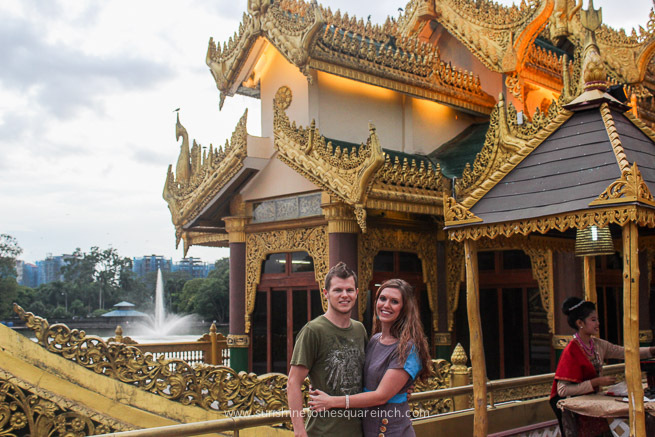 PS - We have been in Asia for pretty much 8 months now! It's going by fast! What has been your favorite thing so far this summer? That hair washing sounds AMAZING- I love haircuts because they play with my hair but it is definitely not for 45 minutes... If I was there I think I'd be there like once a week! 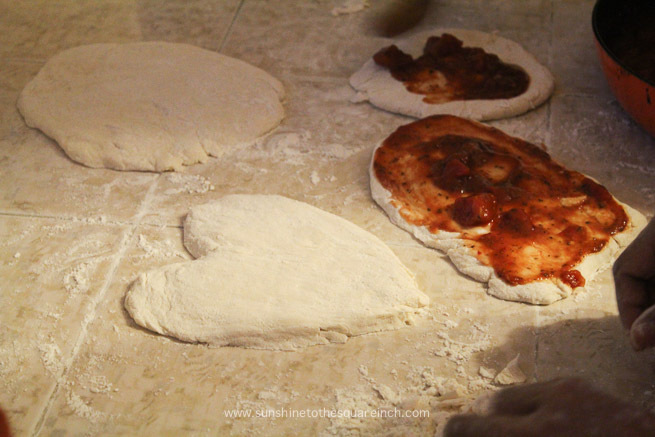 That's so fun that they wanted to learn how to make pizzas- once again I'm impressed with your little toaster oven that could and I love how one of you guys made it into the shape of a heart. I used to get so irked traveling too because they charge so much more when they see you're American/white... so frustrating! I hope the anticipation of your beautiful gem is just killing you though :) Dave is quite the reader, I feel like it was just yesterday that I was talking to you about how he was reading that Spanish book... how time flies. Oh, and kids books TOTALLY count :) You had a busy June! I love the hair washing too! They used to be near our apartment but moved away so it's a far drive now. I started reading again so I'm glad about that. I did finish the OT and I'm starting the New Testament now so that's good. I started the OT in .... 2012 :) I started, stopped and picked it back up again in Myanmar. that hair washing place sounds SO awesome!! looks like you had another packed, but fun month! :) can't wait to see your ring when you get to open it!! so, in October are y'all coming back to the states?! i'm thinking i should know the answer to that & my brain is just not working!! We might travel some around Asia at the end of October just because it is so cheap and easy to travel around here. After that we will for sure be coming back to America we just don't know where we will be living. Dave has to get his medical license renewed so that will be a priority for us (him).